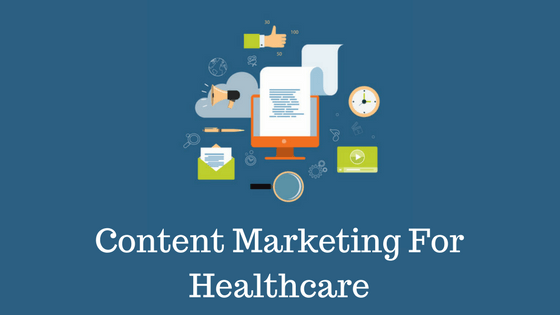 How To Do Content Marketing For Healthcare Company? How To Write Blog Post For Your Medical Practice? Home Healthcare How To Write Blog Post For Your Medical Practice? You signed to be a medical practitioner and not a blogger. But a blogger and you have one thing in common: You all need audience. You all need a crowd that will embrace your work and reward you with loyalty. That means a blog or a site is not a project that you do to pass by or, do if for the sake. If you're running a healthcare blog, readers can easily notice if you care for them or, you're just interested in making money. Blogs in healthcare market that have become big know how to care for their audience. A blog can be great for your medical practice. Not only can it bring new patients, it can also help you cultivate personal relationship with them. But how do your create blog post that will appeal to patients? In other words, how can you make your writing shining in the healthcare market? How do you make the audience believe in you? All of those questions means the same thing. It what every healthcare market blog struggle with outside. Readers are savvy. They can tell if you care about them or not. How do they know that. If your blog is all about you and what you do, chances are most readers will ignore. Readers are likely to resonate with your healthcare blog if you write with empathy. Empathy not sympathy will win your reader's heart. Writing with empathy is easier said than done. Actually, it won't surprise you to find that most people don't know what empathy or sympathy mean. They like to confuse the two. Your communication with your readers comes out as authentic, heartfelt without sounding sugary-sweet. You come up as a genuine person and appealing to them. Your conversation sounds intimate and not a lecture. Your audience begins to resonate with you. If you've checked the video above, you'll notice that empathy is embracing them even if you have no solution to their problems. Sympathy is more like holding them on your arm's length. How do you write with empathy? Takeaway: To win your readers, you must share the emotional connection. That deep feelings they have. If you want to write with empathy, mirror their feelings to them. Always agree with, never preach and lecture on what they should do. We are humans beings at the end of the day, all we want is person who we can have intimate conversion or emotional connection. Your post helps you understand your patients better. Yes, you know who your audience are. They are patients who come to your clinic everyday, asking for treatments. But, do you have an idea of what they want? It is easier to assume that they want treatment or cure for the ailments. That is not what they want. To find out what your patients need, study their psychographic traits. If you been blogging for a long time, you know that audiences have certain common traits like fears, desires, goals and frustrations. They have a goal of living long. They have fear that their health conditions may get out of hand. They are frustrated with their past health experiences. How do you know your audience greatest desires or health goals? It is simple. Do the following exercises. I want to (action) and (action) so I can (achieve results) and (action results). If you do this exercise right, readers will feel the connections and empathy that you have for them. You can create 10 or 20 more sentences to have a clear Idea of what they want. You now realized the benefit of empathizing with your patients. It is the only of creating a connection and cultivate intimate conversation. If you have done that right and did the above exercises, creating a prize-winning title will be an easier things for one reason. Step 1. The title needs to have measurable results. Have seen my title above, I did want to write something vague like: How to create the perfect blog post in the healthcare market. It sounds generic. To get your attention, I translated the obsession you have to measurable results. The results is getting "New Patients", which got your attention. Knowing what keeps you patients at night is huge. It's still not enough. You have to measure those obsessions they have. In other words, you have to look at your patient in the eye and tell them that they have achieved. If you still don't know know the outcome or how to measure results. Go to Amazon, then look at your books in the healthcare market. You may need to read reviews to find out what customers are sayings. Lookout for the words and phrases that come up often. You can also look at the comments of the most popular blogs in the healthcare market. What are people talking about. Forums are also a great way of finding out what is topics are trending and the problems people are having. If you found the results, then you can create a prize-winning article for your audience. It is true that 80% of online searches will look at the headline before deciding to read your article right. And 50% of them will look at your introduction to see if you have something new before deciding to read your entire content. What does this mean for an average healthcare bloggers? Your blog post must score on both the headline and the introduction. It doesn't make any sense to create a wonderful headline, only to lose half of the readers in your introduction because you sound boring. To create a hypnotic introduction that amazes patients, you must have empathy. In other words, you need empathetic opening. Here is an example on how I will structure the introductions based on the answers that I have. Everybody from your family and friends thinks that you're lazy. You're not doing much to lose that weight. In fact, they are tired of hearing you whining all the time. And it freaks you out because no one cares about your feelings. There is a solution. That intro was powerful enough to get the reader, reading the whole sentence, because you're speaking to their emotions and feelings. The feelings your empathy and connections. In fact, you sound like a person who has gone through the same experiences. In every points you have in the post, you need to back it up with examples just like I have done to show you. You can either search for the example or write them based on how you understand the topic. Statistics and past interviews are a good way of supporting every point that you have. You'll make readers understand better you topics. The key to writing spellbinding content is empathizing with the reader. That is the only way of winning their hearts and soul. If you write intimate stories and posts that not only answers their problems but also makes them feel a connection, there’ll come to your practise. Sit down today and understand your audience in terms of their fears, frustrations, goals and desires. Try to think of their past experiences and history. Ask yourself, what have they gone through. Dig into their past, to find out what they have tried and what they have gone through. Then, you can start now creating posts with introductions and headlines that mirror their feelings. I hope this article gave you an in-depth clue.